When you are relocating your office or changing your business location, Done Right Movers Scranton can provide any type of commercial moving for you and your employees. We can move your office or business efficiently. We know the importance of maintaining business operations, so we strive to eliminate delays and complete the job as fast as possible. As a professional commercial moving company, we exert extra effort to get your business up and running again and to minimize disruptions to business operations. Whether you desire to move an entire warehouse or business or the office of a subsidiary, the movers of Done Right Movers can help you get your planned relocation underway efficiently and smoothly. We make the move as stress-free as possible for you and your staff. We have been operating in Scranton PA for years. So, we have worked with international, local, and national corporations in moving businesses to another city or state. 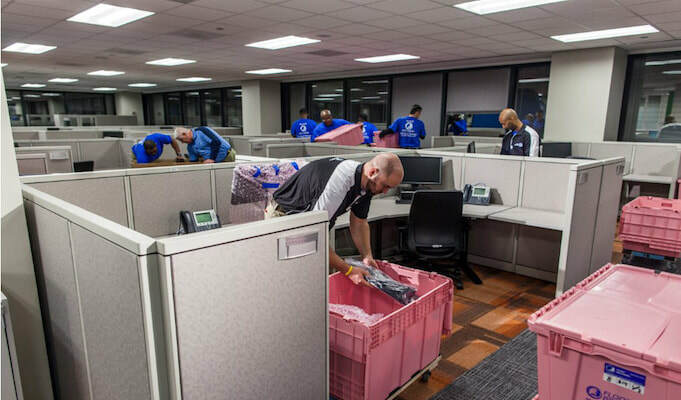 Our team of professionals specializes in executing and conducting commercial moves for businesses of any size, and we always help their clients in preparing for the actual moving day. This is why our moving consultants meet up with our clients to develop the best relocation plan for you and your company. Our moving consultants are trained to provide you with the most cost-effective moving plan that caters your personal requests and specific requirements and needs. Since we work closely with clients, we can provide you with customizable options. We know that it is hard to tell your employees that you are going to move your business, company, or corporation. It is like telling them that we have to make a major change in their lives. Because of the move, some of your employees may have to relocate as well or get used to a new place or route. This is why the moving teams of Done Right Movers work closely with human resource professionals to provide smooth and stress-free relocation services in any industry. We have customizable moving plans for multiple employee moves. We manage employee relocation efficiently. We work with HR professionals to identify the employees who are best suited for mobility opportunities and mitigate and identify legal issues. The qualified staff and crew of Done Right Movers are familiar with the prerequisites of office and commercial moves. We provide time-saving and cost-effective options and services for your commercial and office relocating needs. We know that time is money and that it is important for you to cut the ribbon to your new office, establishment, or business headquarters as soon as possible. As an established and high-rated mover in Scranton PA, Done Right Movers only offers the best services for you and your company and provides the same level of professionalism to any type of business.